ICS had humble beginnings, but through its twenty years it has been blessed with faithful families and amazing teachers. ICS has grown to over 1,000 students and now has a beautiful campus in Shek Mun, Shatin. ICS is thankful for what the Lord has done and give thanks for all His provision – in times of scarcity and in times of plenty. International Christian School was first established in 1991 by a consortium of six missionary agencies and three independent members. In 1992, the school opened its doors for Grades 6-11 with a population of only 56 students, 11 teachers, and 1 principal. The school had rented a small, run-down campus inside Bethel Seminary, Kowloon City. Only professing Christians were hired as full-time faculty members and most students were the children of missionaries and Christian workers. In 1993, ICS opened its elementary section and offered one class per grade. Thus, in only its second year, ICS’ K-12 student population numbered 268 and 10 new teachers were hired, bringing the teaching staff to 21 (ICS-Candidate 1993). In providing affordable, Christian, university preparatory education, the school also found a niche with non-missionary families who fueled demand for the school’s program. We affirm the authority of the Bible over all matters of faith, the exclusive Lordship of Christ and a life of discipleship leading to holiness, witness and service. There is no contradiction between the truth of revelation and scholarly investigation. The intersection of Christian belief, the liberal arts and sciences, and an ethic of service provide an educational perspective that unites theory with practice, leading to an increased understanding of God, self and the world. International Christian School recognizes the importance of the interpersonal dimension of the learning process. We believe that community grows out of common commitments and that learning is the result of interaction between people, ideas and experience. As students’ accountability and responsibility to others is increased, they are better able to understand themselves, respect others and serve as compassionate disciples of Christ and as constructive members of society. The ICS Board of Trustees appoints a Head of Schools who is accountable for the operation and management of the school and, for the implementation of the Board’s policies while ensuring that the school reaches its stated Ends – the Expected Schoolwide Learning Results (ESLRs). The Head of Schools ensures the hiring of all other employees consistent with the school’s statement of faith, philosophy, and its mission. Dr. Jerry Buckner is the Head of School for International Christian School, Hong Kong. With 25 years of experience working in Pre-Kindergarten-Grade 12, Dr. Buckner has served as a high school learning disabilities teacher, educational psychologist, Director of Admissions and Student Services, and Educational Program Manager. Over the course of his career, Dr. Buckner has worked in several large public school systems in the United States, and has served international schools including two years at the American International School Dhaka (Bangladesh) and six years at International Christian School, Hong Kong. Dr. Buckner earned his Doctorate in Educational Leadership (Ed.D.) from the University of North Carolina-Chapel Hill, and also holds a Bachelor of Arts (B.A.) degree in Psychology from the University of North Carolina-Asheville and an Educational Specialist (Ed.S.) degree in Educational Psychology from Indiana University-Bloomington. He holds four professional educational licensures from the State of North Carolina (US), he is a US-trained Nationally Certified School Psychologist (NCSP), and he holds a teaching certificate from the HKCAAVQ in Hong Kong. Aside from his work, Jerry is very familiar with Asian cultures, having lived in the region for over 25 years. Jerry and his wife have two grown children who live in the US. To supervise the respective school divisions (lower elementary, upper elementary, middle, and high), ICS employs four principals who are directly responsible to the Head of Schools to ensure student learning via achievement of the ESLRs. ICS principals exercise their role as learning leaders by promoting a collegial, quality school environment that sustains a high level of learning, overseeing day-to-day school life by keeping a finger on the pulse of classroom instruction and curriculum development. Karen Whenuaroa began serving at ICS in 2008. Her previous position at Bethlehem College (an integrated Christian school) for 13 ½ years provided her with extensive opportunities in Christian Education and leadership. Mrs. Whenuaroa spent her first 4 years at ICS as Grade 2 team leader and homeroom teacher and in 2012, she began serving as Kindergarten/Lower Elementary Principal. While serving at ICS she has completed a masters degree in Christian Education Leadership. Keith Welch moved from Maine to join ICS in 2003. He taught Grade 4 for two years (2003-2005) and began serving as Upper Elementary Principal in 2005. Before coming to Hong Kong and joining ICS, Mr. Welch served as a youth pastor at his church and taught English as a Second Language in Windham, Maine public schools for six years. Mr. Welch is joined by his wife, Vanessa and three children. Stephen Taylor is from the United Kingdom and brought along his extensive experience in both teaching and school management. He completed his Principalship training in 2008. He has been serving as a missionary at Faith Academy in Manila for over 15 years. During that time, he spent over 10 years as an administrator and school principal. Dr. Keung moved from Toronto, Canada to Hong Kong in 2010. He began serving at ICS in the high school in 2015, and moved into the High School Principal position in 2017. Before joining ICS, he spent 9 years in Papua New Guinea as a teacher, including leadership positions for 6 years and has extensive cross-cultural consulting experience in Asia. He holds a Master of Education in Curriculum and Instruction and Doctor of Education in Educational Leadership, with research emphasis in cultural intelligence and transformational leadership in international schools. In 1992, ICS was formed by six mission organizations as a limited liability company, International Christian Schools, Limited (ICSL), with the goal of creating a Christian school using an American curriculum in an English medium of instruction. The ICSL currently includes the following mission organizations: The Conservative Baptist Foreign Mission Society, Culture Regeneration Research Society (Hong Kong) Ltd., Evangelical Free Church of China, The Free Methodist Church of Hong Kong, The International Mission Board of the Southern Baptist Convention, and Wycliffe Bible Translators (Hong Kong). Since its founding, ICS has been governed by a Board of Trustees composed of representatives drawn from the ICSL mission organizations along with independent members, often parents with students attending the school. In carrying out its work, the Board takes into consideration the interests of students, parents, staff, supporting mission institutions, donors, community partners, and the ICSL member mission organizations. International Christian School is blessed with a committed Board of Trustees that has led ICS since its foundation. The Board of Trustees represents International Christian Schools, Limited., in guiding the school's vision and development. The Board selects and hires the Headmaster to manage school operations. 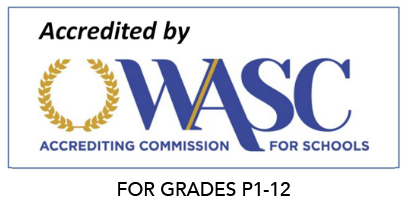 Standing committees assist with carrying out the Board's work and include the School Management Committee, Finance Committee, and Nominating Committee. They are supported in their work by a School Supervisor who interfaces with the Hong Kong Education Bureau on behalf of the school. Board vacancies are filled by appointment from the sitting Board members. The first elected Chairman of the Board of Trustees was Steve Wible, one of the founders and visionaries who saw the need for a school that primarily educates children from a number of missions. David Aufrance of OMS served as the second Board Chairman for nine years, followed by Keith Winslow for three years, and Jack Young for five years. Since 2012, the Board has been chaired by Edith Chan. Mrs Edith Chan has been a member of the Board of Trustee of the International Christian School (“ICS”) since 2010 and Board Chair since 2012. Her engagement with ICS began in 2004 when she was invited to help extend corporate relations for the Capital Campaign. As parent, Board member, Mrs Chan had participated in different task forces studying aspects of the ICS operations, led the Investment Sub-committee in its proposal to the Board and chaired the Finance Committee. She has attended fairs, concerts, staff functions, fundraising events and supported with her contacts and resources, as well as with donations personally and through the Board. Outside ICS, Mrs Chan is currently the Chief Executive of the Hong Kong Securities and Investment Institute (“HKSI Institute”), which qualifies and trains financial services practitioners for Securities and Futures Commission (“SFC”) licensing purposes. Having qualified as a Chartered Accountant with PwC in London, Mrs Chan began her financial services career in Hong Kong with KPMG and SFC before joining the commercial sector of the financial industry. She has since held senior regional management positions with international groups including Invesco, Principal, and ABN AMRO Bank. In addition to her financial services expertise, Mrs Chan has direct experience in professional education, membership, and non-profit operations from her tenure as Executive Director of the Asia Society Hong Kong Centre prior to joining the HKSI Institute. She is also an active member of the community. She was the Chair of the Hong Kong Investment Funds Association and Trustee of Stanford Alumni Association (USA) and is now Chair of the Audit Committee of the Lingnan University Council, Investment Advisory Committee Member of the Sir David Trench Fund for Recreation, and Investment Committee Member of the Environment and Conservation Fund, amongst her many other public services work. Mrs. Chan is married to Dr. Anthony Chan and have 2 children. Their eldest graduated from Stanford University in 2014 and is currently working as a management consultant in London. Her daughter Adrienne attended G7 at ICS in 2007 and is now a junior at New York University upon graduation from ICS in 2013. Edith graduated from Stanford University and is a fellow of the Institute of Chartered Accountant in England and Wales (ICAEW). She was awarded a Medal of Honor in 2014 by the HKSAR Government for her contribution to public service. Ms. Ronna Chao is Managing Director of Novel Investments Limited, Vice Chairman of Textiles Limited and a Director of Novelpark Investments Limited. Her responsibilities in these various capacities cover investment and portfolio management, property redevelopment, and textile manufacturing. She also serves on the Board of Bai Xian Education Foundation, and is Chairman and CEO of Bai Xian Asia Institute, both not-for-profit organizations supporting various educational initiatives in Asia. Prior to joining the Novel Group, she worked as a Mergers & Acquisitions financial analyst at Goldman Sachs in New York, and a Manager in the Licensing Department of the lifestyle and apparel company Tommy Hilfiger Corporation. Ronna has a Bachelor’s Degree in International Relations from Brown University, and earned her M.B.A. from Stanford University. She also spent a year as an undergraduate at Keio University in Japan. She has three ICS children: Nick ’14, Ariana ’17, and Allie ’22. George holds a Bachelor and a Master Degree in Chemical Engineering (Bsc., M.Sc) and a Master Degree in Business Administration (MBA) from University of Saskatchewan, Canada. In 2008, He was awarded with Honorary Doctor of Engineering (D.Eng) by Lincoln University of United States of America.Upon graduation in 1985, He joined one of the Fortune 500 companies in Hong Kong- Dow Chemical Pacific Limited, for 5 years. In order to broaden his experience, he has since joined different companies like Alpha Metal Ltd, part of the Cookson America group, the Hutchinson Whampoa group and the News Corporation group companies.In 1997, George joined DuPont China Limited as an Area Manager, Engineering Polymers and won the Greater China sales and marketing excellence award. He eventually moved to a General Manager position to oversee the overall Engineering Polymers business in Greater China. In 2004, he was seconded to the Corporate as the General Manager of Corporate Marketing using One DuPont approach to service the fast growing China market. In 2007, He was put on a special project assignment to help DuPont to invest US$300 million in setting up a Global thin film Photovoltaics R & D headquarter in Hong Kong and a manufacturing facility in Shenzhen, China. Since 2011, he left the company and set up his own business as an Entrepreneur investing in Internet marketing, Cloud base ERP, Industry 4.0 as well as doing consulting work for Solar-related business. In his community service, in 2001, 2003, 2007 and 2011, the Foshan Municipality of the Guangdong Government, invited George to become the member of the 8th, 9th, 10th, 11th Guangdong Foshan People’s Political Consultative Conference In Hong Kong, He is the Chairman of the Unity of HK SME. George is also actively involved in both in Christian and community services and he is currently the Secretary General and Board member of the Full Gospel Businessmen Fellowship International (HK). In November 2004, 2006 and 2008, He was appointed by the Innovation and Technology Commission of the SAR Government to become the member of the Hong Kong Accreditation Service Advisory Board. From 2011 till 2014, he was appointed as the member of the Innovation and Technology committee of the Trade Development Council. He has a wife with 3 children currently residing in Hong Kong. By profession, Dr. Ma graduated from the University of Hong Kong, and is a specialist in Anatomical Pathology. Before taking up his role as a Member of the Board of Trustees in 2012, he had served as a member of the Parent Association Executive Committee for several years, some of which as Vice-Chairman. He is also an alumni parent as two of his children studied and graduated from ICS. Tony has been a member at Shatin Baptist Church for 14 years and is currently a small group leader. ICS will honor Christ by modeling excellence and innovation in holistic Christian education. Observing what is, imagining what could be, and discerning what is "beneficial" from what is merely "acceptable"
ICS is accredited by the Western Association of Schools and Colleges and the Association of Christian Schools International.